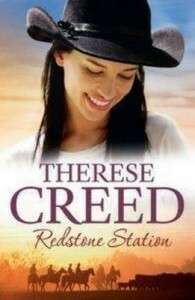 ‘Redstone Station’ is a rural romance set on a 110 thousand acre cattle property in Central Western Queensland. It is not a pure ‘romance’, the romance is only one aspect of the story that explores everyday life on a cattle station, including cattle work, horsemanship, dog handling and other day to day activities. The characters are well developed, and span the generations, the story is both humorous and moving in places, and gives an insight into life on the land in the contemporary world. Where are you from / where do you call home? I live on a 17,000 acre cattle property south of Rockhampton, Queensland, with my husband and 4 sons. I went through lots of phases, at times I wanted to be a writer, but most of the time I wanted to be a vet. Redstone Station. It is my only work so far! We live in a tiny 3 roomed cottage that is actually a kitchen building removed from a larger house. I use one corner of the main room for the computer table, and write by night through a haze of insects. We have no screens on the windows! Bronte sisters, Jane Austen, Charles Dickens, Thomas Hardy, and especially Elizabeth Goudge. The Narnia Chronicles (CS Lewis) Roald Dahl, The Secret Garden, The Wizard Of Earthsea (Ursula Le Guin). Elizabeth Bennet in Pride and Prejudice, because she is ladylike, intelligent and Gutsy all in one. She gets her point across politely without resorting to rudeness or abuse. She held her own in the male dominated society of her era. 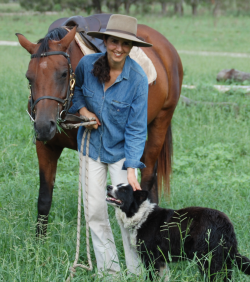 Teach my sons school by distance education (daily commitment); Feed animals, cattle work (mustering and yard work); Train my working dogs, break in and ride horses. My favourite food is nuts of all kinds. My favourite drink is tea (sorry to disappoint). My hero is My uncle Father Paul Hanna, who works with the most unfortunate human beings on the face of the earth, restoring some of their dignity. The greatest threat to books and reading is the diminishing concentration span of the human race. We are constantly seeking instant entertainment and gratification. People wanting a quick fix miss out on the joy of a subtle, slowly unfolding story that requires some level of thought and reflection from the reader. I am hoping that the novelty of these less substantial, quick fix forms of entertainment is going to wear off and that people will rediscover the joy of a challenging read. 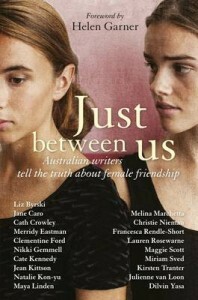 Just Between Us: Australian writers tell the truth about female friendship. This book is an anthology put together by myself and four other women: Maggie Scott, Miriam Sved, Maya Linden and Natalie Kon-yu. We are all friends and writers and at some point it dawned on us that the female friendships we saw on television and in films and literature were not at all like the friendships we experienced, friendships which were more rewarding and difficult than they were effortless or catty. We each wrote our ‘real’ take on female friendships, and invited our favourite female Australian writers to do the same, and voila!, Just Between Us was born. I am from Osbornes Flat, which is near Yackandandah, which is near Wodonga, which is on the Victorian side of the Murray. For the past 20 years I’ve been a Melbournite (what a great city! ), but just recently I moved to central Victoria, so now I’m a Goldfields girl. Every day I’m visited by a billion beautiful tiny woodland birds. It’s lovely. had to write a report about an animal or an environmental impact, I’d end up writing a story about it instead. Some things just can’t be resisted. So I kept on writing and married a zoologist instead of becoming one. Aside from Just Between Us? Well, while I was studying environmental science I came across the concept of ecological disturbance. I’ve written a young adult novel where grief and ecological disturbance run parallel and interact. I think it is my best work, but no-one’s seen it yet as the ink hasn’t yet been pressed to the page. So aside from that, I think my play Call Me Komachi has been one of my favourite works, because there is something about actually seeing an audience respond to your words: you don’t get that with fiction. It’s like watching a group of people read your mind: it’s an incredible connection to make. My house is chaotic, my garden is chaotic, my car is a nightmare; my desk space is … relatively orderly! (The operative word there being ‘relatively’.) It does, however, tend to accumulate a lot of clutter related to tea-making and tea-drinking. I like to read natural history, young adult fiction, nonfiction, literary fiction, pop science, environmental philosophy, and anything at all written by Margaret Atwood. I’d love to be someone cool, like Sherlock Holmes or witty, like Elizabeth Bennett, but actually, if I’m talking in terms of Jane Austen I’m probably more like a strange and unlikely mix of Lydia and Mary Bennett: loud and inappropriate one moment, and too serious and bookish the next. kooky, but because I really love the sound of the thing. It is hard to feel sad when watching a bird really enjoy a bath, or playing a tune on a banjo. Blue cheese and tea. Not together. I know lots of ecologists and environmental scientists who work with endangered species and threatened ecosystems. They go quietly about their work, conscientiously collecting data, creating projections of future impacts, caring about species that no-one else has even heard of, and they keep working even though their work is often heartbreaking: often the species or ecosystem they are working with disappears before their eyes. But they keep going, working towards understanding the next species, the next ecosystem, and then trying to protect them. They are my heroes. I’m an optimist here. I think language and storytelling are so basic to human beings, that whatever the form, there will always be stories made out of words by some people, and read, listened to, watched by others. The narrative arts are very robust I think. On the surface, my debut novel, Lightning, is the tale of two people (Persia, a grieving mother, and Ahmed, a refugee fleeing his past in Pakistan) who have suffered extraordinary losses and who discover in each other the healing of shared tenderness. But more broadly, the book is an odyssey – across continents and centuries – that explores grief, identity and connection. It’s a road trip novel, a love story, and a meditation on finding hope in the rubble of our lives. As the cover blurb says, Lightning celebrates the way our stories and their telling keep us alive when all else is pulling us under. I was born in Geelong, then lived in Melbourne till I was ten, after which my family moved to Brisbane. That’s where I completed my secondary and tertiary studies (an Arts/Law degree with an English Literature major). When I joined the Department of Foreign Affairs and Trade in Canberra after graduating from the University of Queensland, life became even more peripatetic. I lived as a diplomat for three years in Bangladesh and for five years in Laos. These days, my geographic home is Canberra, but, as Ahmed, my protagonist in Lightning and a refugee from Pakistan says, “…home is a person, not bricks and mortar; not tribe, nor custom, nor bloodline, but a person.” My heart home will always be where my daughters are – currently Canberra. I’ve always wanted to be a writer but I’ve also always wanted to have a range of other occupations simultaneously. As a kid, in addition to envisioning a life as a writer , I saw myself as an archaeologist. Being a novelist is rather like archaeology: tenderly unearthing hidden worlds and cajoling their stories from them. 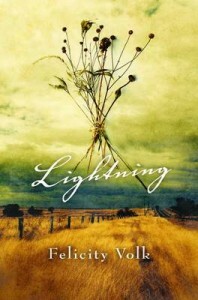 Lightning, my debut novel, is my most ambitious work to date and I hope my best. 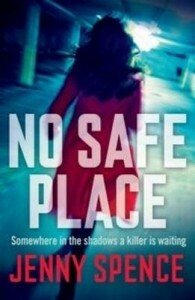 But among my shorter fiction there is one piece of which I am particularly fond, “No place like home”, a story about a homeless woman in Tasmania. After many years of adversity and rejection, she finds a sense of purpose and healing in contributing to wildlife rescue efforts following a coastal oil spill. 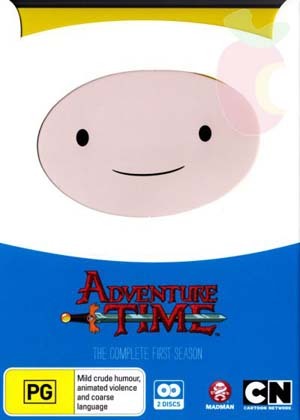 I love the main character, Carol. She’s resilient and funny and tender. I consider her story to be one of the best pieces I’ve written and it was a prizewinner in The Australian Women’s Weekly/Penguin Short Story Competition. External endorsement always boosts confidence that you’re on the right track in your writing. If I’m feeling calm within myself, and on the happier end of the melancholy spectrum, I contentedly write at home, surrounded by books and bottomless pots of green tea. I write at a dining table beside two large walls of window. I need light and I need a vista to write most contentedly. Looking out into a wide open space provides somewhere for my thinking to unravel, for imagination to take flight. I don’t like to feel hemmed in when I write, either physically or emotionally. That said, some significant chunks of my novel were written in bed during daylight hours. It was cosy and intimate and very convenient for power naps! If I’m blue, I need to have people around, so I migrate my writing desk to the Main Reading Room of the National Library of Australia, a place where minds are busy and the air is thick with other people’s intellectual energy. The simple presence of others engaged in creative, contemplative endeavour is soothing and nourishing for me. And these days, so much of the research materials writers rely upon are waiting at the end of a wifi connection, so the mobile writing desk is a convenient approach. But the options for napping comfortably in the National Library are somewhat limited. My favourite place to write is Varuna, The Writers’ House in Katoomba, the Blue Mountains. Any of the writing anterooms on the upper storey of the former residence of Eleanor Dark and her family, provide warmth, light and sanctuary. The muffled sounds of writers in neighbouring rooms is a welcome constant reminder that the community is close at hand. And the view out over rambling cottage gardens never fails to reassure that every seed planted with care will yield a harvest. fixtures and other activities, so these days much of my ‘reading’ is listening to audio books. No matter how long the list of favourite authors I might devise, there’ll be significant oversights. So with that as the caveat, I’ll offer up Alice Munro, Margaret Atwood, William Styron, Tim Winton, Peter Carey, Gabriel Garcia Marquez, Julian Barnes and A.S. Byatt as a starting point. If there’s a literary equivalent of a geologist, I’m sure she or he would be able to identify distinct layers in the sedimentary rock of generational reading. I was in the Enid Blyton and C S Lewis stratum(the Faraway Tree series, the Famous Five, the Secret Seven and the Narnia Chronicles). 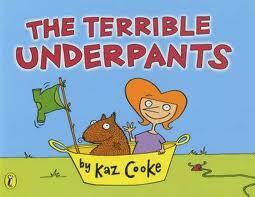 Probably the most defining books of my childhood were the ones Dad used to read to my brother and me each night. Books like “The Wind in the Willows”, “The Lord of the Rings” and the Bible. At a very young age, these gave me a sense of the rhythm and beauty of language. I’d be Stingo in William Styron’s “Sophie’s Choice” or Nick Carraway in “The Great Gatsby” because both get to tell the story – every writer’s obsession! Stingo and Nick are observers and narrators, each with enormous acuity and eloquence, and a great capacity for compassion for the people whose lives they are recording. I’d also like to be the rose in Antoine de Saint-Exupery’s “The Little Prince”, because for all her flaws, she was loved with unwavering constancy by a kind, wise and charming character. and keeping two dogs, a bunny and a guinea pig alive. But…my favourite sporadic forms of entertainment are hot air balloon rides and chasing firework and light installation shows (like Enlighten Canberra and Vivid Sydney). My favourite food is food cooked for me by people I love (for starters, my daughter Bella’s risotto, and my youngest daughter Poppy’s pancakes). Two delightful friends, Sally and John, had me over for dinner to celebrate every milestone in the path to publication for Lightning, and their signature dish is a haloumi, cucumber and tomato salad with a rice wine vinegar dressing. It’s simple, fresh and evocative of celebrating important moments with loving friends. My favourite drink is the Brooklyn Bee cocktail served at a famous French seafood restaurant in New York called Le Bernadin. The Brooklyn Bee contains absinthe and lavender oil, among other ingredients, and it’s best drunk in the company of my dear Wisconsin-based friend, George. As I get to drink cocktails with George very rarely, I should offer up freshly squeezed orange juice as my favourite standard beverage. I admire anyone who transcends adversity and emerges from it with compassion and wisdom. In that regard, top billing goes to my sister Sam. Also because she can solve nine letter word puzzles in 15 seconds flat. The biggest challenge is the shifting of neural function, the changing wiring of the brain as a result of exposure to new technology and new media. But I’m optimistic there will always be a critical mass of readers to keep the industry alive, and hopefully even enough who love books as artifacts to keep the printed book industry kicking too. “A story is like a moving train:”, writes Nabi, one of Khaled Hosseini’s characters, “no matter where you hop on board you are bound to reach your destination”. In And the Mountain’s Echoed, it is passengers getting on and off that train who carry the story. And Hosseini is a superb story-teller. He knows how to accumulate the small details which bring a place and a person to life and capture memories and emotions: a son noticing the looseness of an elderly mother’s pyjamas, the denture glue and the fuzzy slippers she would never once have worn – all the small signs of change which add up to his sudden recognition of her frailty. The bonds of family, of responsibility and of love are not always easy to accept and Hosseini realistically conveys the individual strengths and weaknesses of his characters. This book begins with a traditional Oriental tale of divs and jinns and families threatened by a fearsome child-stealing monster. Abdullah and his little sister Pari listen as their father tells this frightening tale, unaware that its moral – that a finger had to be cut to save a hand – will soon have horrible relevance to their own lives. It is Afghanistan, 1952, and Abdullah and Pari live with their father, step-mother and new little brother in a village near to Kabul: but this is soon to change. As different characters tell of their own lives we move from Afghanistan to Paris, San Francisco and a small island in Greece, and we travel back and forth in time. Always, there is a link, however tenuous, to Abdullah and Pari and their family and the story-train does eventually reach its destinations, but along the way we meet many different people. Whilst never forgetting the horrors of war and the choices forced on families by disaster and poverty, Hosseini concentrates on the way in which life goes on, regardless of change. 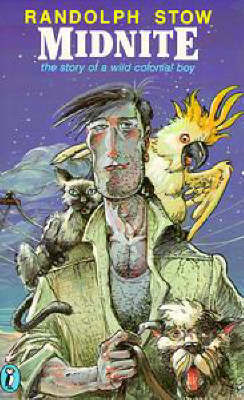 This is story-telling at its best as his characters reveal themselves through their varied tales. There are those who flee Afghanistan; some who migrate and then briefly return; the few who are drawn there as aid-workers by war and its aftermath; and those who must stay or who choose to stay, some of whom benefit from war and some who are devastated by it. At times the sudden jump from one voice to another is disconcerting, and the connection of each new character with the story is not always immediately apparent, but Hosseini draws everything together with great skill. Many of Hosseini’s characters have secrets. Nila, the most flamboyant, has things in her past which she never fully reveals, and facts about her marriage, too, which she keeps to herself. It is Nabi, Abdullah’s and Pari’s uncle and Nila’s family manservant and chauffeur who knows, or learns, some of these secrets. And it is his letter to a foreign surgeon working in Afghanistan which eventually reveals to Pari Nila’s biggest secret – the one which changed Pari’s life. Quite how the metaphorical ‘loss of a finger’ saved Abdullah’s and Pari’s family is not clear. Each person was changed by events and in ways over which they did not always have control, but whether this was for the better or not readers must decide for themselves. Always, however, this book is enjoyable. 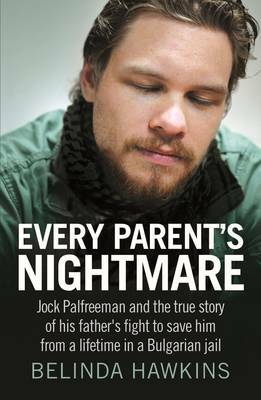 In Part 1 of Every Parent’s Nightmare, I reviewed Belinda Hawkins‘ Every Parent’s Nightmare, a book that traces how Australian Jock Palfreeman went from good samaritan intervening in an attack on a Roma man in Bulgaria to an accused and convicted murderer. In Part 2 of Every Parent’s Nightmare, author Belinda Hawkins explains how she came to write the book and how the case has (and continues) to affect her. What was it about Jock’s and Simon’s stories that specifically that haunted you? Australian Story reduces me to tears weekly so although this story is striking, I can think of any number that might warrant books. This could well have been just another story. It got under my skin though once Jock’s father agreed to see me after several months of saying no way and when he then nervously showed me some of the evidence in the case. Once I unscrambled what he was trying to say, I could see that this was not just a father determined to prove his son’s innocence. I was fascinated by the struggle he had with the fact that Jock had pocketed a knife that evening and then had brought it out when under attack. I did not know whether there was more to the story than he was telling me. Jock might well be guilty as charged. But I could see that there was evidence to support Jock’s version of events. I wanted to know what really happened. I empathized with both the Palfreemans and the parents of the young man who died. I have children who were just finishing high school at that stage so soon would be off travelling the world. Both sets of parents were living some of my nightmares. I wanted to understand what it was to be in their position and to go through a court case. Bulgaria itself is fascinating and the more I investigated this case the more I learnt about the layers of corruption that exist there as part of the difficult transition from 45 years of communism to a capitalist economy. I have to say that my interest in the case is far from over and the more I learn about the some of the Bulgarian participants in the drama that has unfolded the more bizarre the story has become. 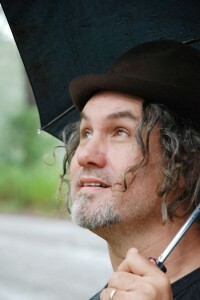 How did writing the book differ from producing the Australian Story documentary? Although I used an Australian Story technique throughout the book of stepping into the shoes of characters and seeing the world through their eyes, Every Parent’s Nightmare involved a vast amount more research across a range of areas to do with every aspect of the case. I was not just following Simon Palfreeman on his repeated trips to Bulgaria as he tried to help his son, although I do that as well. 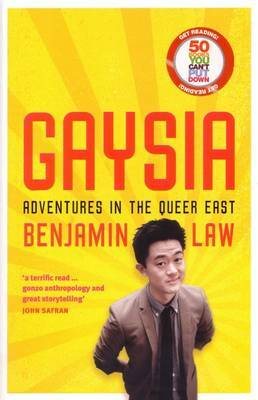 In the book I burrow into the experiences of witnesses, experts, human rights advocates, Jock’s aunt, the parents of the dead young man, some judges, and of course Jock and Simon. I scrutinise documents, locations, and media reports. I dig up CCTV material. A drama of a very different kind unfolds between the pages than does on screen for all the sense of human suffering and the decency of Simon Palfreeman remain as central to the story. Can you tell me about some of the other Australian Story episodes that you have worked on and that have affected you? They all leave a mark on me. It is a great honour to hear people’s stories. A story about a young woman who suffered undiagnosed clinical depression and who committed suicide on the first day of Year 12 really affected me. My son was coming up to that age. Depression is a terrible disease about which we need so much more understanding. This young woman felt ashamed of herself for feeling low and could not bring herself to talk about it but wrote her thoughts in a diary. When I was following former foreign minister Alexander Downer in Indonesia I was with him when he found out the Garuda flight with DFAT staff and reporters I had got to know had crashed. The people we knew who died or were terribly injured were all wonderful people and this was a senseless tragedy. I have also been profoundly affected by the stories of whistleblowers whose courage and determination to do what is right for all is humbling. Your book is balanced—it’s a ‘tragedy of two families’. 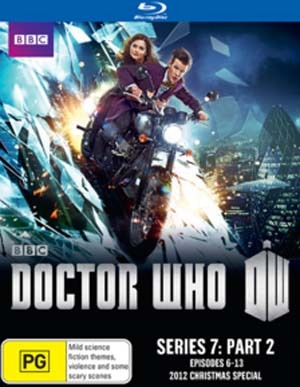 Has it been translated into Bulgarian and if so, do you know if the Monovs have read it? A number of Bulgarians have read it and it has been reviewed in media there. I hope to get it translated. The Monovs do not speak or read English. How many takes on a fight can you have? And how did you keep it all straight in your head? I hired a wonderful young Bulgarian journalist called Boryana Dzhambazova halfway through my investigation to help research and to translate. Together we worked out where every person involved was standing at any given moment and allowing for clear fabrication, tried to see why they saw things the way they did. It was like watching some 10 or 15 different short films, though, that is for sure. We spent hours and hours and hours on it! How ironic do you find it that the word ‘free’ is contained within his surname? Bizarrely Australian and Bulgarian reporters until recently often called Jock ‘Paul Jock Freeman’! I had not thought about irony, though! For many years I really did not know. I flirted with different scenarios based on the evidence I had at the time. I now have a very strong picture now in my mind of just what happened that has taken me five years of investigation to develop. I want readers to come to their own conclusion after going through all that I have uncovered! Jock said his father was naive, but I get the same sense from Jock. Are they both really idealists? Do they believe wholly that justice will prevail? I think Jock was skeptical very early on for all he held out hopes. His skepticism has turned out to be well founded. Once Simon decided the evidence supported Jock’s version of events he thought it would be clear also to the court. Jock initially didn’t want you to write the book. Why? I think he felt that as a young person, he wanted to be able to grow and evolve without always being known for how I found him over a five-year period at a particular stage in his life. Nevertheless he took part in some 40 or 50 hours of interview over the five years, and in going through a fact-checking process with me during my writing period. We continue to stay in touch. Simon seems to understand that his son isn’t perfect, but the Monovs can’t entertain any notion that their son wasn’t. Does that strike you as odd? Not really. To concede that their son might have borne some or much responsibility for what happened that night would bring shame on the family. It is also the instinct of many people to want to believe one’s child is close to perfect. The unquenchable desire for revenge on the part of the father, Hristo Monov, has been deeply disturbing to watch. I’m still confused why everyone watched the CCTV footage in a crowded room, but the defence could not have copies? Then you seemed to see it? I was able to get access to it after the court proceedings were finished and through other means. Has anyone ever found the Roma? Is anyone looking? No one has found the Roma. Police did not ever mount a search for them. They may one day appear, though. ‘No fascism’ seems an odd thing to yell out. Why not just ‘stop’? In Australia we do not talk about anti-fascist and fascist in the way that is more common among young people especially in the UK and Europe. ‘No fascism’ means ‘stop that racist act’. Based on what you now know, would you let your child go to Bulgaria? Of course. I fell in love with the country, much as Jock did. There are many wonderful people, a long history, and wonderful traditions and food there. You’ve worked in Nigeria and Cuba. Can you tell me a little more about the stories you covered there? I worked for SBS TV’s Dateline story for almost 10 years. In Cuba, I did a documentary on the experiment with capitalism referred to as ‘el period special’ and another about the American base in Guantanamo Bay long before 9/11. In Nigeria, I did a documentary about the indigenous Ogoni people in the south who were oppressed for many years. I also interviewed the President. It was a dangerous and difficult country where my crew and I were held up at gunpoint. What’s next, for you as well as for Jock and Simon? This story is far from over. I will keep following it. Now the father of the dead young man has a position in the unstable new government. Jock and Simon are trying to have Jock transferred to an Australian prison. Bulgarians have taken to the streets to protest against government and institutional corruption. The country is even more chaos than it was when I first got there. But it is heartening to see the peaceful nature of protest and to know that Bulgarians are standing up for their rights. Almost every person in prison protests their innocence, but Australian Jock Palfreeman*, who is serving 20 years in a Bulgarian prison for the death of a Bulgarian national, arguably has more reasons to protest than most: it’s unlikely he committed the crime. For a little over five years (and while much of the Aussie-locked-up-OS attention has gone Schapelle Corby’s way), Jock’s been incarcerated in a Bulgarian prison under more-than-dubious circumstances. Jock’s story commences as any number of Australians’ does: He’s 19, restless, fearless, and setting out on the great European adventure. Having grown up in Australia, he has no sense that not every other country operates by the same rules. Rushing in to defend a Roma man in Bulgaria from attack by some youths, Jock goes from good samaritan guided by a strong moral compass to accused (and soon convicted) murderer. Andrei Monov, one of the youths and the son of a Bulgarian power couple, was stabbed and died during the melee. It’s unclear whether Jock, who was foolishly and uncharacteristically carrying a knife for self-defence that night, stabbed Andrei. This is in part because the authorities didn’t try very hard to obtain crucial CCTV footage and because the witnesses (the other youths in the fight) changed their stories (and were allowed to do so uncontested). What is clear is that he had the best of intentions. Bulgaria is a country still cloaked in communist ways. Its human rights record is red flagged, and court cases prior to Jock’s had drawn the attention of international authorities for the shonkiness of their conduct. So now has Jock’s, as his case’s truths are stranger than fiction, testing the limits of credulity. The forensic doctor in charge of crucial evidence was arrested accused of aiding an illegal organ harvesting scheme. The prosecutor’s partner purportedly had connections to the mafia. Both were allowed to continue in their roles. The civil and criminal cases ran in conjunction with, and influenced, each other. Unsubstantiated evidence, such as misreported newspaper articles, were not only referenced but allowed to stand. Frankly, I’m still confused why everyone watched the CCTV footage in a crowded room, but the defence could not watch it separately or obtain copies. Australian Story journalist Belinda Hawkins created a two-part documentary about Palfreeman’s (and his father’s) story** and wrote a Good Weekend feature too. Haunted by the complexities and sheer absurdities of the case, she penned and released a book (and complementary website) that investigates it further. The book title is ringingly accurate: Every Parent’s Nightmare. It’s a nod to parents’ worst fears being realised, despite their best efforts to shepherd their children safely through the world. It’s also a hint of the even-handedness of this book. Hawkins could easily have sided with the Palfreemans, championing Jock’s stringing up and shoddy treatment at the hands of the authorities (of which there was plenty). Instead she depicts the tale as one of a dual tragedy: the Palfreemans’ and the Monovs’. Both families have, through a tragic sequence of events, lost their sons. The book opens with a map of the crime scene, a la that which you traditionally find in speculative fiction books. I initially thought it a nice touch, then later found it extremely necessary. How many takes can you have of one event?! I repeatedly, incredulously found myself thinking throughout. Hawkins’ careful investigation unfurls the story better than the prosecution ever did, and with it reveals some incredibly complex characters. Jock is an impetuous, but principled young man. His father, Simon, a pathologist who has to step up to drive Jock’s defence, is so straight he was voted ‘most likely to be Pope’ by his primary school classmates. There are uncanny parallels between the Palfreemans’ and Monovs’ lives, although oddly Simon seems to understand that his son isn’t perfect, but the Monovs can’t entertain any notion that their son wasn’t. The Monovs chose not to be interviewed for the book [Update: This was my misinterpretation. 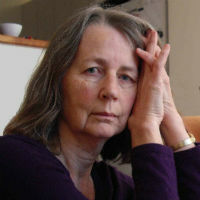 Hawkins and her researcher were in contact with the Monovs regularly over the phone and Hawkins later met Mrs Monov, which is detailed in the book. I was implying that the Monovs weren’t keen to be a part of the book, but my wording was a little clunky. ], but it takes nothing away from Hawkins’ efforts to remain objective. Every Parents’ Nightmare is gripping reading, albeit one accompanied by a constant, low-level frustration at the authorities’ blundering incompetence and neglect. There is so much evidence in Jock’s case that wasn’t collected or wasn’t allowed to be tendered, and then much that shouldn’t have been. That includes a poorly laid claim by Sydney barrister Jonathan Cohen that Jock had assaulted him—it was quickly disproved because Jock hadn’t even been in Australia at the time. For some reason, this of all things incensed me. That’s probably because until that point I’d considered the absence of delivered justice the Bulgarian court’s fault, and now here was an Australian inflicting further, senseless damage. Moreover Cohen, a man of the law, should have known and done better with investigating the issue before bandying around accusations. Jock’s story taps into wider issues of Australians not expecting trouble overseas and that if they do encounter it, the Australian government and their parents will be able to resolve it. Jock’s is also a very recognisable, very common tale: You get caught up in a fight while out drinking one night in Europe. It could happen to anyone. Jock’s case rebukes the notions everyone will receive a fair trial (a ‘fair go’, if you want to get all Aussie) and that the truth will set you free. That’s not to say that Jock wasn’t at times his own worst enemy. When his ex-lawyer asked if there was anything he needed, Jock replied, ‘Just a Kalashnikov […] So I can shoot my way out of here.’ Likewise, I think ‘no fascism’ is an odd thing to yell while trying to break up a fight. Why not just ‘stop’? What would you do if your son was jailed for life in a hellhole of a Bulgarian prison for a crime you believe he didn’t commit? Hawkins’ book asks. How far would you go for the ones you love? They’re big questions and utterly wrenching ones no parent ever wants to have to answer. This story has occupied six years of Jock’s, Simon’s, and Hawkins’ lives, and with appeals pending and transfers to Australian prisons being requested, there’s likely a lot more set to emerge. I’ve only spent a week with it, but this tale is already haunting me. I look forward to reading Hawkins’ next installations. * I can’t help but note the irony that his name comprises the words ‘free’ and ‘man’. ** She also created one of my favourite Australian Stories, which features the inspiring The Big Issue street soccer national coach, George Halkias. I was one of those horsey girls as a kid. Loved them. Couldn’t accept parents’ refusal to keep one of them in our backyard. So I transformed my trusty bike – the one with the chopper-style handlebars – and the dog’s leather lead into the best little mare you could imagine. I actually steered the bike around for months using those ‘reins’; through pitted canons and deeply wooded forests (our backyard was large and varied in landscape). Imagination. It’s every kid’s greatest gift and most alluring asset. And Alison Reynolds’s and Heath McKenzie’s latest picture book, The Littlest Bushranger, celebrates it in style. The Reynolds’ / McKenzie team, with over 150 titles between them, are fast becoming a force to be reckoned with and one of my favourite picture book artist combinations. The Littlest Bushranger is a snap shot of Jack’s first day alone without his older sister Lil, who has just started school. His day becomes anything but ordinary as he is forced to navigate through frightening terrain and outwit the crafty Outlaw in pursuit of Lil’s prized treasure. 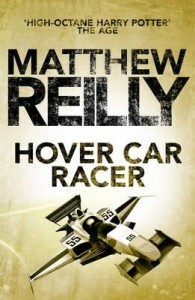 This adrenaline-charged adventure is slightly more robust and male orientated than Reynolds’s and McKenzie’s previous book, A Year with Marmalade, however it is bounding with exhilarating movement and irrepressible charm. I especially love the tactile cover and the intelligent use of perspective and colour to accentuate the drama and action of Jack’s pursuit. His steely-eyed companions; his spirited steed and ‘gang member’ Hector, are as impressively heroic as Jack who valiantly earns his title as The Littlest Bushranger. Ideal for 3 – 6 year olds and anyone who believed their bike was the best horse ever, like me. 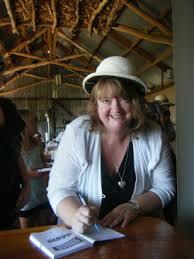 Q Alison, you have written dozens of books for small children and younger readers. Do you enjoy creating picture books? I love writing picture books. The connection between words and illustrations really interests me, and how you can use both to convey ideas. What makes them harder or easier than other genres you like to write in? It’s harder as every word is crucial. It’s easier because picture books are shorter than some other genres. Q What was your inspiration for this story? I saw a bird hopping on a railing near our dog, Molly and then my imagination rambled. Q I love the choice of Jack’s imagery persona – a fearless bushranger. Why bushranger vs. your usual sword-wielding pirate or knight? My publisher, The Five Mile Press, suggested a bushranger book. Maybe the next books could be pirates and knights. Q Does Jack’s situation parallel your life as a child in anyway? I started school a year later than my friends and neighbours because my birthday was after the magic cut-off point. I can remember playing at home, until they returned. I used to spend a lot of time running around on my hobby horse. Have you ever had to reclaim a stolen treasure and face your direst fear? Think I was more likely to purloin the treasure myself. Once when visiting my mother’s friend I spied a very special embroidered hand towel, apparently there was a flush and no more hand towel. 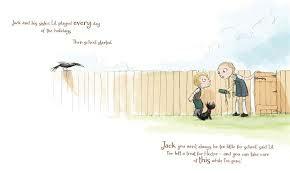 Q What was the most memorable imaginary world you visited when you were Jack’s age? My friends and I played a game called boots. This consisted of us wearing my big sisters’ much too big boots and racing around the backyard playing chasey and I think spies were involved. In our backyard my dad cut the branches of the plum tree so they supported a plank. 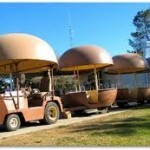 This became at different times a stage coach, flying saucer and police car. We were very versatile! Q What was the hardest part of bringing The Littlest Bushranger to reality? Coming up with a story of a bushranger for that age group. I didn’t want guns but decided a sword/broom was okay. Having Heath McKenzie as an illustrator makes everything easier. If there’s a bit of writing that won’t work, I’ve realised that I probably don’t need it and Heath will illustrate it instead! 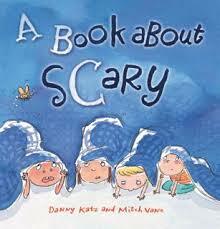 Q What advice would you give anyone else wanting to write a picture book? Play with words, cut, revise, cut. And do illustrations that no one need ever see, but by doing this you can check that each page can be illustrated and it can clarify what you are trying to say. Q Was the choice to involve the uber-talented Heath McKenzie again to illustrate this book yours or just an unbelievably marvellous strike of good fortune (and decision making)? The Five Mile Press matched me with Heath again and I feel very lucky! Q Do Heath’s illustrations represent what was originally in your head when you first conceived the idea for The Littlest Bushranger? Heath somehow captured what was in my head, and created something even better by adding his own ideas. When it came to the outlaw/monster I wrote in the illustration brief, “Heath go wild” – and he did! I would never have come up with such a wonderful creation! How do you think they have helped bring the story to life? I think they work in direct partnership with the words and tease them out into something very special. 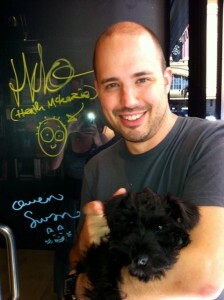 I especially love Hector the dog! Q Other than writing, what other past times do you like to indulge in – say like horse-riding? I have a rocking horse from when I was Jack, the littlest bushranger’s, age. That’s the extent of my riding apart from my hobby horse that I loved. I’ve watched a whip cracking contest, but haven’t tried it. And I don’t really like Irish jigs and Scottish reels. So think I would be a very bad bushranger! Thanks Alison for inviting me along on this fantastic, white-knuckle quest! Thanks, Dimity for having me!!! Join the gang and continue to be part of the adventure. Here are the rest of the dates for Alison’s Tour. Don’t forget the competition either. There are some wicked prizes on offer. Thanks for riding with us. June 20 Interview with Melissa Keil. June 21 Heath McKenzie and Alison Reynolds interviewed by Juliet Chan, Marketing & Publicity Executive. Monster Competition Watch out for prizes – so good they should be outlawed! These include a piece of Heath McKenzie’s amazing artwork from The Littlest Bushranger. There are a couple of monsters in The Littlest Bushranger. One’s a bunyip, and the other an outlaw/monster who steals Lil’s telescope. What sort of monster do you like? Send along a painting/drawing/model of a monster and you could win a piece of Heath McKenzie’s amazing artwork for The Littlest Bushranger. Upload your best monster to https://www.facebook.com/alison.reynolds.524 or email it as a low res jpeg file to [email protected] and we’ll upload it. If you don’t have a scanner, take a photo on a smart phone and email that! Two categories. Under 12 and 12 plus including grown-ups. Entries close 25th June! Win a free pass to an adult non-fiction commissioning editor’s desk. Just comment on this blog post or any other blog during the Littlest Bushranger book tour and add the initials NF. The more you comment, the more chances you have to win the draw. 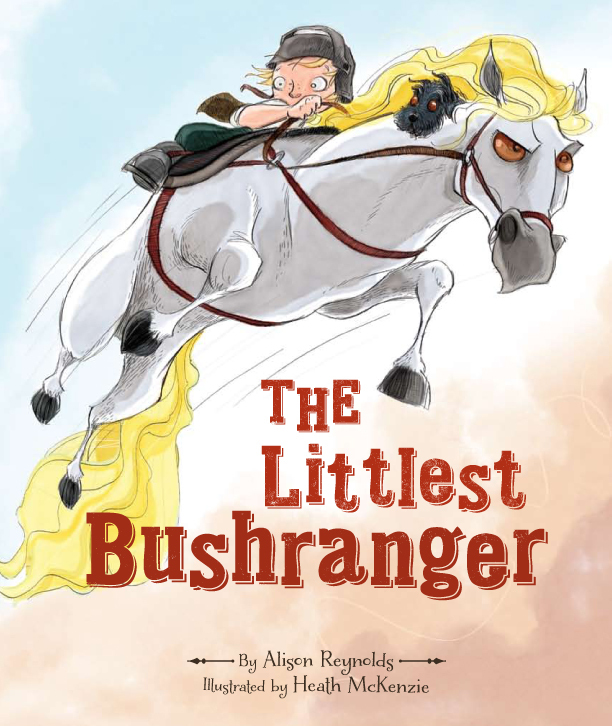 Keep you eyes peeled for other prizes along the ride including a picture book assessment by Alison Reynolds, 2 free passes direct to an editor’s desk (you get to skip the slush pile), and copies of The Littlest Bushranger. Just comment on the posts. Simple! This month sees the release of my new teen novel, Gamers’ Rebellion. It is the third book in the Gamers series (YAY, I’ve achieved trilogy status) and it’s a book that’s getting three launches. Three launches? Am I being greedy? Well, there is method to my madness. Allow me to explain. 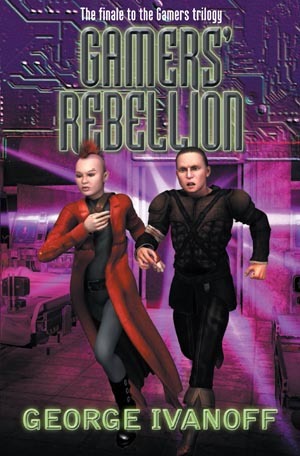 The Gamers books are science fiction novels partly set within a computer game world. So although they are aimed at kids and teens, they have also found an audience among sci-fi fans and gamers. So as well as introducing the latest book to students, it seems logical to also announce it to the science fiction community. What better place is there to do that, than at Melbourne’s annual spec fic and pop culture convention, Continuum (see my post “Continuum 9”). And so, last Saturday, Narrelle M Harris (author of The Opposite of Life and Walking Shadows) launched the book to the attendees of Continuum 9. I’m very excited that Narrelle agreed to do this. Not only is she a friend and fellow author… I’m also a HUGE fan of her writing. More about this launch and Continuum 9 in general, coming soon. Both these launches were part of festivals and conventions that people have had to pay to attend. So I thought the book also really needed a public launch. An event that family and friends and others could come along to without paying. And thus, on Saturday 6 July, Gamers’ Rebellion will be launched a third time — at Watsonia Library. Although the launch is part of the Myths and Legends Annual Booklovers Festival, there is no cost for attending. So, come one, come all! There are details on the festival page, and I will also be posting more about it here on the Boomerang Books Blog as we get closer to the date. There you have it folks… a book thrice launched. I’m rather excited about it all. 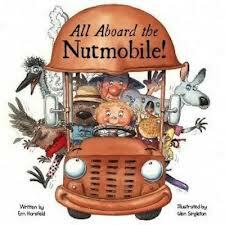 Review – All Aboard the Nutmobile! Australia is well-known for its myriad of contrasts and tempestuous weather. 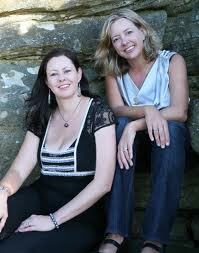 Devastating bushfires, consuming floods, and cyclonic furies can weary even the staunchest of spirits. But, seldom ones to lie down in defeat, Aussies love to rise above a challenge; plucking inspiration, hope, and incredible optimism from the deepest of floods waters. This is precisely how the team of Macadamia House reacted following the Queensland 2010/2011 floods. They rebuilt their farm and salvaged their business. And from this rescued kernel of a nut, grew the idea for their first picture book. 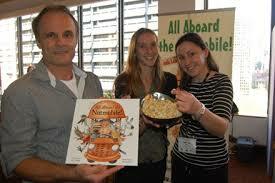 All Aboard the Nutmobile is a rollicking little adventure depicting the first encounter, Nosh the Nutmobile has with the inhabitants of Macadamia House. 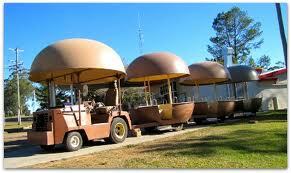 They’ve never seen a Nutmobile before and regard him with a mixture of awe and reservation. They are not particularly enamoured by his strange nutty, dome-shaped appearance and don’t care to make friends with him, preferring to argue and speculate amongst themselves as to what he really is. That is until, the weather turns foul. Driving rains and ensuing floods threaten not only their sporting pursuits but soon their lives as well. Fortunately Nosh and his young driver Max, come to their rescue. And like all floods, the muddy waters eventually subside and it becomes clear that Nosh really is a very useful Nutmobile who’s earned his rightful place at the Home of the Nut. 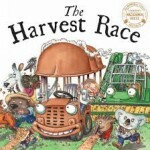 Kids from three to eight will adore Glen Singleton’s bold, bouncy, and wonderfully Australiana inspired illustrations. You already know his work if you’ve ever been to one of Queensland’ theme parks and used their maps to find your way round. The Twelve Days of Christmas and Santa Koala are other well-known favourites. Newcomer to the writing scene but not the world of nuts is Em Horsfield. Her simple rhyming verse chugs along as surely and cheerfully as Nosh himself. And she knows her subject inside out, residing and working on a macadamia farm herself. Sweet. All Aboard the Nutmobile not only entertains with its colourful cast of Aussie characters and oodles of charm, it humorously introduces young readers to various real life situations and outcomes and provides a platform for discussion of events that have affected many of them either dramatically first hand or from afar. Watch out for the next instalment of Nosh, in The Harvest Race, August 2013 coinciding with harvest season. The third in the series should be released in time to fill your Christmas stockings. Perfect. Yes I’m a fan of the delicious Queensland nut and the iconic Nutmobile (I’ve chugged around in one once or twice) but I admire good old Aussie benevolence and tenacity even more so. This picture book encapsulates both in bucket loads. 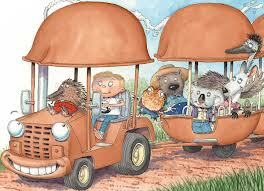 Posted on June 10, 2013 October 9, 2015 Author Dimity PowellCategories Book News, Book Reviews - Childrens and Young Adult, Dimity PowellTags All Aboard the Nutmobile, Em Horsfield, Glen Singleton, Little Steps Publishing, Macadamia House, National Year of Reading, New Frontier Publishing, Queensland nut, Year of the Farmer2 Comments on Review – All Aboard the Nutmobile! 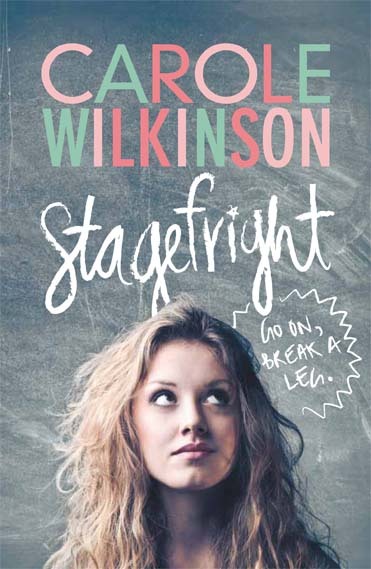 Stagefright is my latest book and it’s the only book I’ve written that is set in the here and now. It’s about some high-school students putting on a musical version of of Shakespeare’s Richard the Third. Most of my books are set in historical times. People have asked me if it’s different writing a contemporary story. I get the impression they assume it must be a lot easier. No research, right? Well, not exactly. There is research, but it’s different. Writing modern teenage speech is scary. I had to listen in to conversations on the tram (managed to avoid getting arrested for stalking!). I quizzed teenage children of friends for current ways to insult people (my characters do that a lot). Writing dialogue for a modern audience involves a balance. I imagine kids reading a modern story are more critical. I wanted it to sound current, but on the other hand I didn’t want it to be outdated before it hit the bookshops. So after writing the dialogue, I went back and modified it, trying not to overdo it. And there’s always other research that needs to be done. I read Richard the Third about five times so that I could get to know it well enough to adapt the story for my purposes. And then I had to write song lyrics based on it! I also had to find out about current high-school curriculum and create a weekly timetable for my students. When writing Stagefright, I felt more of a sense of responsibility to readers as far as morals and ethics were concerned. There are quite a few really gruesome scenes in my historical novels, and I didn’t worry about them, and I’ve never had a single complaint. The Ancient China of my Dragonkeeper books is distant in time as well as place. I don’t believe kids think of the events that happen in those books as being all that relevant to themselves. But I wrote a scene for Stagefright that hinted at sexual assault, and I took it out. I wasn’t at all comfortable with it. People assume I do a lot of research for my historical novels, and most of the time I do. I’m currently writing the fifth book in the Dragonkeeper series, and to be honest this one is not requiring me to do a lot of research. It follows on immediately after Blood Brothers so it’s set in the same time of political chaos known as the Sixteen Kingdoms era. I can rely on the research I did for the previous book, and in any case, there was no central government, in fact little government at all, so it’s a period that has left little trace. It’s also not an era that has attracted a lot of historians to publish glossy books, or even papers for academic journals, so the amount of material to research is minimal. This means I have more freedom to make “novelistic conjecture”. I love this term. I heard it recently. It basically means making stuff up based on the few known facts, but in a way that’s not going to upset historians. So the historical novel I’m writing now is actually requiring less research than Stagefright did. Novelistic conjecture! I like that term, too. I’ll have to remember it. Thanks, Carole. 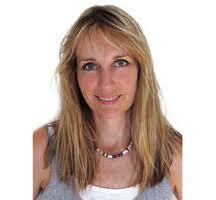 To find out more about Carole and her books, check out her website. It includes a section on research. And don’t forget to check out my recent interview with Carole. I almost didn’t go attend the Emerging Writers Festival (EWF), both because it’s in Melbourne and I’m not and because I’m still a bit puzzled that EWF consider Dave Graney ‘emerging’. My tweet about it probably earnt me a black mark from the festivals’ organisers, but the succinctness of Twitter didn’t allow me to explain myself in full. It was less a case of sour grapes than despair at the state of the industry. In the interests of transparency, I applied to be a panellist but wasn’t accepted, and I’m pretty cool with that, to be honest. I’m not from Melbourne, my publishing track record is in sport and social and environmental issues so doesn’t often pique the interest of those following a more traditional arts-scene publishing route, and I have plenty to learn before being able to impart some wisdom. My concern was—and is—that if one of the creative industries’ most established and respected artists is putting their hand up for a festival designed for those who are at the formative stages of their careers, there’s even less money and publication and promotion prospects than we already know there to be. Graney aside, most of the other writers appearing at the festival write for such top publications as The Monthly, i.e. publications that you tend to have to be fairly established in order to write for. But I’m perhaps heading into the murky debate about what constitutes ‘emerging’ as opposed to ‘emerged’—‘emerging’ really is a contested term. Graney was switching from writing songs to writing creative non-fiction memoirs, but I’d argue that he’s a writer merely adding additional style and platform strings to his bow (he’s arguably becoming a transmedia storyteller). Moreover, his memoir would already garner interest—and reviews and their related promotion—from major newspapers and independent publishers alike. I’m not saying EWF shouldn’t have included Graney, but I’d have felt more comfortable if his festival inclusion was the literary festival approach of some youth football (soccer) leagues’. Forgive me this sporting example, but it relates, I promise. The National Youth League (the soccer league for up-and-coming players) allows for an overage player in each team. These overage players offer a cool head and advice and informal mentorship to these emerging footballers. They also bring fans to games who would not otherwise know about or engage with the youth league. I would have loved to see Graney brought in for an equivalent role (and it’s arguably what EWF was aiming for, even if it didn’t explicitly say so). Still, my niggles aside, the Digital Masterclass warranted attending. It was, as one of the speakers later said on his podcast, something I’d seen a bunch of times before. But having arrived a bit burnt out, it was refreshing to be in the room talking industry stuff with people at roughly the same stage. The day was structured logically, with the morning kicking off with goal-setting and strategic planning (I will concede that a one-sentence mission statement is confoundingly difficult to do, especially when you’ve only had one coffee). 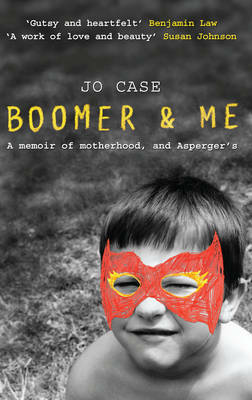 Jo Case, who’s just released Boomer and Me: A Memoir of Motherhood and Asperger’s, and who Benjamin Law recently referred aptly to as one of the lynchpins of the industry, took us through content creation. Her Wheeler Centre examples were interesting, especially how she explained her dual-output strategy: she often obtains transcripts from Soapbox speeches to turn, where possible, into web articles. Case also explained that there are three types of capital: money; fun; and progress (skills you’re learning, people you’re meeting, credibility). All three come into play in careers in the creative industries—arguably more so than in others. Hearing her speak I was reminded I’ve in recent times lost sight of the fun, which was what had previously given me my bottomless enthusiasm for working for little publication gold or pay. At one stage she posed a question that’s stuck with me ever since: What’s your why? Thang Ngo took us through capitalising on success, with specific reference to blogging. He commented that he always seems to be the speaker with the onerous task of speaking just before lunch. Random and hilarious GIFs—and Ngo’s own quality content and enthusiasm—staved off the is-it-lunch-yet watch checking. The afternoon sessions were the most impressive, both because they’re where I’m currently working and because they were a hint of where working as a writer in the digital age is heading. Johannes Jakob (I’m currently working my way through his fantastic podcast, Jo Mad, I Heard You Like Books. 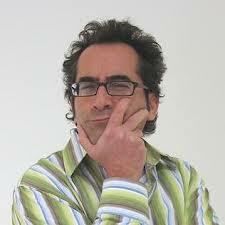 In fact, the first one I listened to included Chad Parkhill, a talented writer and editor I know from my undergrad days) walked us through podcasting, showing us that you don’t have to know how to work absolutely every single aspect of technology to start working with it. He listed the usual suspects with which I’m obsessed: This American Life, Planet Money, and The Moth. But he also introduced me to Slate Culture Gabfest, Back to Work, The Rereaders, and Podmentum, which I’m steadily ploughing into my brain. In the second half of the session, editor turned filmmaker Mark Welker of Commoner Films demonstrated how filmmaking is storytelling with footage. The videos were great, and he’s using the industry-standard 5D, a stills camera that allows for (I think this description is incredibly apt) ‘cinematic intimacy’. He spoke of how when you start, there’s a gap between what you want your film to look like and what skills you have to do it. That gap never closes, he said, but your skills improve. Like Jakob, he emphasised the importance of throwing yourself in and learning on the job, something writers tend to be shy of doing. I know this, but I needed to hear it again. Matt Blackwood brought us a keynote speech about locative literature (that is, literature that uses such things as QR codes). It’s not something that works hugely for me, but he almost had me sold. One of his projects saw him put stickers on chairs in cafes, with patrons coming across and enjoying the stories when they may not otherwise have found his work. My favourite aspect, though, was when Blackwood creating a working QR code from the black and white keys from recycled keyboards. 20-year-old wunderkind Ashley Davies previewed Tablo, ‘the WordPress for ebooks’ start-up he’s masterminding which, if it works, will be groundbreaking. It’s something I plan to explore more in depth in future blogs so will just say: keep an eye out for it. Rounding out the day with Lord of the Fries chips (I’m vegan and rarely get to enjoy chips without fear) and a trip to check out new social enterprise Shebeen (profits from sales of certain drinks are donated to charities), I was fatty carbed up, mentally full, and feeling equipped to head back and re-fling myself into this crazy career that’s called freelancing in the creative industries. Suffice to say, I’ll be back at the festival next year regardless of who they decide to have as their overage players. One sultry October morning in Darwin, hemp-wearing army wife Amy Silva grips a trembling fist around two pink lines on a plastic stick. Struggling to come to terms with her rampant fertility, disillusioned with a haughty obstetrician, and infuriated by an inordinate amount of peeing, Amy finds solace in a decision to homebirth. After all, it worked for the cavewomen, right? But as a tropical cyclone threatens to whip down the main street, Amy finds herself facing more than biology. 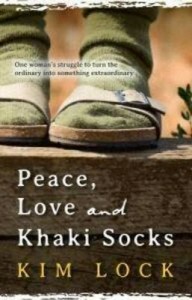 Peace, Love & Khaki Socks explores what it is to be a woman, an expectant mother, a lover and a friend in a patriarchy. Sometimes horrifying, sometimes hilarious and always honest, this unforgettable story is one woman’s struggle to turn the ordinary into something extraordinary. 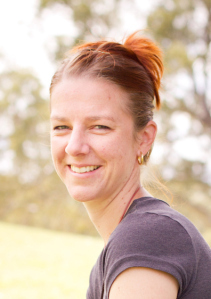 After growing up in country South Australia, I have lived in Darwin, Melbourne and Canberra, and now reside in the beautiful Barossa Valley with my military husband and two young children. For as long as I can remember, I have been writing. I have always wanted to be a published fiction author. However, there was a while in high school where I the idea of becoming a doctor, or perhaps a vet … but once I realised the maths grades I would need, I quickly abandoned that idea. Professionally, I have spent the past 14 years as a graphic designer. My best work is my children … but I assume you mean writing? 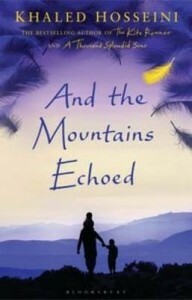 In that case, my debut novel, to be released in May 2013, is the work for which I feel the most pride. With two small children, I work anywhere above about waist height! My laptop usually sits on the kitchen table, or a bench top, or I write outside under a tree while the kids play on the trampoline .. anywhere. I write when I can, wherever I can, and I have to be happy with that! Absolutely anything. I have a huge range of fiction genre that I enjoy—from fun chick lit to thriller and drama. I tend to have favourite books rather than authors, however I favour strong female protagonists and writing with feminist undertones. The Nancy Drew series. I loved those books. I love to knit, and I like to pretend I’m good at it. My Mum’s roast chicken and gravy. Gravy is a drink, right? Jack Reacher. Because he’s Jack Reacher! He’s good hearted, but so very, very tall. money—and that is authors they know will sell. 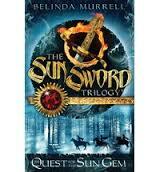 When bestselling, award-winning children’s author Belinda Murrell requested a chat, I was delighted to oblige. And with the dual release of The River Charm and the new Lulu Bell series this month, she has much to talk about. So froth up your café au lait, sit back and discover why squishy bananas, suits of chain-mail and not quite becoming a vet make Belinda smile. 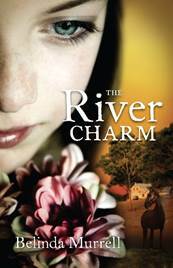 And don’t forget to read on for my review of The River Charm and details of Belinda’s latest book launch this weekend. Q Who is Belinda Murrell? Describe your writerly-self for us and the thing that sets you apart from other Aussie children’s authors. I am a children’s author currently writing my eighteenth book! My books range from picture books, a series of three fantasy adventure books for boys and girls aged 8-12, called The Sun Sword Trilogy and a series of time-slip historical adventure books for older girls called The Locket of Dreams, The Ruby Talisman, The Ivory Rose and The Forgotten Pearl. My latest books include The River Charm and a series of six books called Lulu Bell for younger readers. I love to write for children because I love their whole hearted passion and enthusiasm for books. I am also very inspired by the incredible talent we have here in Australia. There are so many wonderful authors, illustrators, and publishers who are committed to creating exceptional books for our children. I like to think that my books are joyful, thought provoking and vivid. Q Describe your 10 year old self. Did you have any concept then of what you wanted to do or be when you grew up? If so, what was it? I was a tomboy, with long golden plaits, who loved climbing trees, riding horses, reading books, looking after my animals and sword fighting! I loved writing, and ‘self-published’ novels, poems, plays and stories from about the age of eight in hand illustrated exercise books. However at that age I dreamed of being a vet when I grew up, just like my dad. I didn’t realise that you could have a career as a writer. Q You write for a wide selection of age groups and children’s genres. Which one do you enjoy the most and why? My favourite age to write for is probably between 10 and 15. At that age, readers are still young enough to be totally entranced by a story and to love it passionately. However they are also old enough to want to read about more complex issues – history, tragedy, love, loss and redemption. 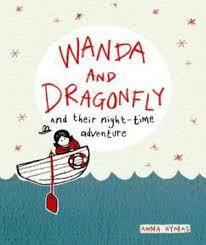 However it has been so much fun to write the much shorter Lulu Bell books for readers aged about 6 to 9. Q Who / what inspired the characters in The River Charm? The River Charm is a very special book to me, because it is based on the true life adventures of my great-great-great grandmother, Charlotte Atkinson. Set in Australia, during the 1840s, it is the story of a family who lost everything but fought against almost insurmountable odds to regain their independence and their right to be together as a family. Charlotte was born into a wealthy family at Oldbury, a grand estate in the bush. But after her father dies, her mother is left to raise four young children on her own. A young widow was a tempting target – from murderous convicts, violent bushrangers and worst of all, a cruel new stepfather. Fearing for their lives, the family flees on horseback to a remote hut in the wilderness. The Atkinson family must fight to save everything they hold dear. Q If you could time slip back to the era of the 1840’s, would you? Why? Yes! I’d love to visit Oldbury (the house that my great-great-great-great grandparents built) and meet the Atkinson family to see how they compare with my imaginings about them. I feel that I know these characters intimately after spending a year researching their lives and adventures. It would be amazing to meet them in real life. Squished banana and soggy celery. Yes absolutely. I had a wonderful childhood – full of books, animals and adventures. My mother encouraged us to be creative and imaginative whether it was reading lots of books, writing our own stories, playing imaginative games or just having the time to daydream. She always encouraged us to aim high and be the best we could possibly be. On the other hand, my father was very adventurous – travelling the world and disappearing for months at a time. He used to take us off on amazing trips – sailing the ocean, horse-riding and camping out on remote cattle stations. As a result I have always loved to travel and have had some incredible adventures. Many of these childhood experiences have made their way into my writing. My new Lulu Bell series is very inspired by my childhood, as it is about a girl called Lulu growing up in a vet hospital, just like I did as a child. We had so many animals, including a pony called Rosie who lived in our back garden in suburban Sydney. If anyone left the back door ajar – she was straight into the kitchen searching for snacks. This particular incident inspired a key scene in Lulu Bell and the Birthday Unicorn. Q Do you have favourites? If so list your favourite read of all time, holiday spot and most memorable breakfast and why. Favourite book (so hard to pick only one) but I’ll say Pride and Prejudice by Jane Austen. I discovered Jane Austen’s novels when I was a teenager and immediately loved them. I particularly enjoyed the satirical humour of her novels, the witty dialogue and the insight into late eighteenth century English society. I’m enjoying sharing Jane Austen with my own daughter now. Favourite Holiday Spot – my brother’s farm at Dungog which we visit as often as we can. This is where I keep my horse Nutmeg. We go up there and work with the cattle, get filthy dirty and ride for hours! Most memorable breakfast – croissants, omelette and café au lait at our apartment in Paris!! For two years, my family and I travelled while I home schooled my three children. One of my favourite places was staying in an apartment in the Marais district of Paris. Q Did you have a favourite book character or hero as a child? If you could incorporate that character into one of your own stories, which would it be and why? When I was growing up, I loved Lucie Pevensie from The Lion, The Witch and The Wardrobe by C.S. Lewis. 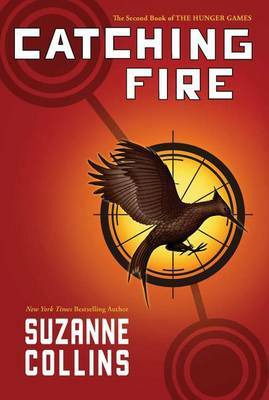 I loved the book’s enticing mixture of adventure, action and fantasy. My sister and I would dress up in silver chain mail, with swords and bows and arrows, and play Narnia. I was enraptured by the idea that it might be possible to pass through a secret door into a magical world, full of talking animals and adventure. In a way, my heroine Tilly in The Ruby Talisman was like Lucie. With an old family heirloom, she found her way into another world. It was the colourful, dangerous and vibrant world of France in 1789 during the French Revolution. However Tilly was a more modern, feisty heroine than Lucie – and yes, she could fight with a sword!! Of course I adore my sister Kate Forsyth. 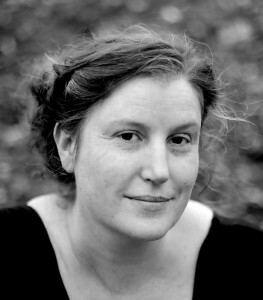 She is an amazing writer and has an incredible knowledge of the publishing industry. We are also very good friends and walk together regularly along the beach, talking about writing, books and our latest plot tangles! Q Do you write every day? Do you have a special spot or routine to make the magic happen or can you write anywhere, any time? Yes – I try to write every day, unless I am out visiting schools and festivals. I work in my beautiful office, which is lined with hundreds of books, has a fireplace and looks out over my gorgeous garden. My dog Asha keeps me company, sleeping in front of the fire. I usually get all my kids organised for school, take my dog for a walk along the beach, come home make a coffee, sit down and start writing! Q Name one ‘I’ll never forget that’ moment in your writing career thus far. Definitely the moment when my agent, Pippa Masson, rang to tell me that Random House wanted to publish not just my first book, but a three book deal for The Sun Sword Trilogy! We cracked bottles of the finest French champagne and my feet didn’t touch the ground for days! Q Name one non-writing goal you’d like to achieve in this lifetime. To see my three beautiful children grow up to be warm, funny, loving, joyful and inspiring adults. Luckily they are all well on the way! Q What is on the draft table for Belinda? I am now writing book 6 in my Lulu Bell series, for junior readers, which is called Lulu Bell and the Sea Turtle. However it is a bit of a struggle to concentrate at the moment with all the launch activities. The book is due to my publisher, Zoe Walton, next week so I’d better get cracking with it!! Until I’d meet Belinda and immersed myself into the absorbing world of The River Charm, I had not given much thought to the first Australian children’s book; what it was about, who wrote it or when it first appeared. The River Charm introduces us to this fascinating period of colonial artistic and literary history with the help of a much cherished river pebble charm which unlocks modern-day Millie’s astonishing 19th century ancestry. Many aspects of early Australian society may intrigue young readers but probably receive as much serious consideration as the first ever Australian published children’s book does. Murrell successfully weaves fact and fiction together in a mesmerising time-slip historical tale based on her own great-great-great-great-grandmother, Charlotte Waring Atkinson who penned, A Mother’s Offering To Her Children in 1841. For me, as much as for Millie, this is an awe-inspiring discovery. Murrell’s admirable female heroines including the fearless Mamma and her daughter Charlotte, represent the face of human tenacity, and true pioneering spirit surviving amidst the striking yet harsh and unforgiving Australia bush. It’s a story about endurance and the right to fight for what you believe in. Tween (10-14) girls and lovers of evocative, historical Australian bush themed sagas (the likes of The Silver Brumby that delighted me as a child) will adore The River Charm. ‘No Safe Place’. It’s a thriller set in Melbourne and Sydney. The central character is not a detective – just a woman who is unexpectedly thrown into a crisis and has to use all her wits to solve the problem and stay alive. I’m from Melbourne originally, but Sydney is home now. I always wanted to be an author, but I didn’t think that was a full-time job. I had all sorts of wild ideas about the sort of job I would do, but it usually involved making things. I ended up working in IT for 25 years. My best work is the book I am writing now, but the one after that will be even better. I hope I will never stop improving. I can’t say my desk is tidy, but my computer is, with all my files properly sorted and grouped in sub-folders. I read everything: crime, ‘highbrow’ books (such as Proust, George Eliot and so on), contemporary fiction (I love Hilary Mantel, Cormac McCarthy and numerous others) and anything else that’s well-written. The book that had the biggest impact, because I was so young when I read it, was ‘Great Expectations’. 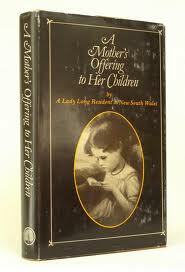 I also read and loved classic children’s books: ‘Little Women’, ‘Anne of Green Gables’, ‘Seven Little Australians’. We got all our books secondhand, so it was a long time before I saw anything new. I could be someone from an AS Byatt book, or from one of the Brontes – but they all led tragic lives. I think I’d rather be myself. I daydream a lot, but that’s part of the writing process. I do Pilates, go for long walks, knit and sew, try to learn languages (Swedish is the latest) and read up on renovating old houses, as that is something we are about to start doing. Of course that depends on how I’m feeling. Our favourite restaurant is South-East Asian, and the must-have dish there is Miang. As for drink, I can’t go past fresh, pure, cold water. Tom Uren, the former MP who lives in Balmain, the same suburb as me. He is a great socialist, humanitarian and champion of the environment, who survived hell as a prisoner of the Japanese in WW2 and is magnanimous towards his captors. Surely we will always have books, even if they are in digital form – a pity, because I get much more pleasure from the hard copy version. But with this craze for doling out information in bite-sized snippets, will there be people with the attention span, the ability to concentrate and the will to sit down and read them? Baz Luhrmann’s multi-gazillion-dollar film adaptation of the iconic The Great Gatsby has received mixed reviews, and I swore I’d steer clear of an obligatory Gatsby-themed blog. But, having seen the film on a whim (it’s Saturday night and I felt as though I needed to have something other than work and study to show for my weekend), here we are. 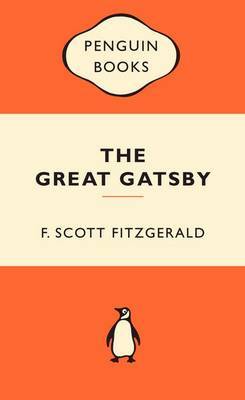 Not having ever been either a The Great Gatsby (Sacrebleu, I know!) or Baz Luhrmann fan, I’m arguably better positioned to offer a more objective analysis of Luhrmann’s adaptation. For starters, I refused to re-read the book prior to seeing the film—that would have felt a little too much like reading for assignment-writing and exam-related displeasure. Although my collection of this cautionary tale is dim, I have always respected the text for Fitzgerald’s eminently intelligent insights. The narration to die for wasn’t enough for me, though—I always found its characters so excessive they were weakened, unsympathetic caricatures. That’s in part what Fitzgerald was aiming for, but while I understand the characters would never be likeable, I never found them believable. Which is why, contrary to popular opinion and my own general stance on the book and its director, I’m going to posit that perhaps Luhrmann, a director who specialises in the unbelievable, is one of the few who’s actually suited to adapt this iconic tale. Luhrmann’s adaptation is undeniably over the top, with a tilt towards Moulin Rouge both in its theatrics and in at least one musical intro. It feels crammed to the gills with sparkly costumes and heavy on we’re-going-to-explain-every-plot-point pretension. But in general terms, it for the most part works. The set-up’s also a nod to Fitzgerald, who struggled with life’s excesses, with the Carraway character morphing into a Fitzgerald figure. It was a tired, too-apparent means of getting the book’s exquisite narration, which occurs largely in Carraway’s head, onto the screen. But it was arguably a necessary one—without it we’d have missed Fitzgerald’s most iconic lines (I was surprised how many of them, upon utterance, jogged my memory). In some ways Luhrmann’s adaptation is genius because almost all of us studied this book as required reading during our school days. Hazy recollections of those halcyon days as well as a macabre can-his-interpretation-possibly-live-up-to-the-scrutiny fascination ensures that we dutifully buy tickets in droves. Luhrmann’s The Great Gatsby might not be a critical hit, but based on the packed theatre I was in and the murmured ‘Did you remember its?’ I heard all around me, it’ll be a commercial one. For me, stylised Luhrmann’s version made the excess and superficiality make sense more than the book ever did. The theatrical elements that are quintessential Luhrmann and his production-designing wife, Catherine Martin, arguably suit this setting better than some other films the two have created. Cary Mulligan lent Daisy just the right amount of waifish sophistication and wilful fool (Martin’s elegant, lust-inspiring costumes will likely spark a feminine fashion bonanza). Executive producer Jay-Z undoubtedly had a hand in the deft marriage of jazz and hip hop, which I absolutely loved. And did I spot a Luhrmann cameo? That’s not to say there weren’t some clunky aspects. Gatsby’s hand reaching out to the green light, for instance, which appears a number of times throughout, unfailingly made me cringe. The writing that traversed variously across the screen didn’t work. At all. In fact, that only film I can think of in which it worked was Star Wars, and even then it was a new take on writing on the screen and it only occurred once, at the beginning. The film’s puzzlingly available too in 3D, though I made sure to steer clear of that monstrosity. I’d argue that few films truly need to be 3D, and this one doesn’t, definitely. Overall, though, for all its frou frou and hyperstylised sets, costumes, and actions, this version rang true-ish for me. Maybe it’s a not-entirely-bad adaptation and that generations who are currently or will in future read the book will be able to ‘cheat’ their way to understanding it by watching this film. Or maybe, like Carraway, I’m looking for the best in people (and films). *As a side note, I was extremely excited to see trailers for the next installment of The Hunger Games, which is due in too-far-away-to-bear November, and an animated film based on a villain brought out of retirement by the Anti Villain League. Consider me sold. It’s a little unusual for an actor to pitch a film to film producers, but so strong was Emma Watson’s desire to see one of her favourite books adapted to the screen she did just that (she says so in her Rookie Mag interview with fellow luminary, Tavi Gevinson). I have immense, infinite respect for Watson and Gevinson (and Natalie Portman, while I’m mentioning outstandingly talented creative females who also carry themselves and their social, cultural, environmental, and political awareness and empathy with aplomb). They’re talented but grounded, inspiring but inspired by others, pursuing projects because they’re interested in them, curious about the world, and generous in their praise of others and their work. So when Watson went so far as to campaign to get The Perks of Being a Wallflower up, I figured the book and film were worth checking out. 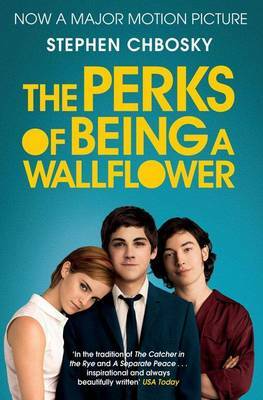 I missed The Perks of Being a Wallflower both when it first appeared as a bestselling book and when it later, thanks in part to Watson, made it to cinemas. But it was on the peripheries of my awareness and something I always figured I’d need to explore. That time came last night when, laid up by my first ever bona fide back injury (I blame getting old and walking oddly due to a recently operated on knee) and using it as a not-entirely-ofay excuse to not meet my encroaching mountain of deadlines, I decided now was as good a time as ever to embark on it. I did what I normally never do: started with the movie. Not being able to compare the film to the book, I’ll likely attract your book-was-better-than-the-film ire, but I will say that, whatever its flaws or foibles, I enjoyed the film rather much. The Perks of Being a Wallflower is undoubtedly a book slash* film for high school students, especially those grappling with the complexities of finding their way in the wider world. But it’s also a book slash film for writers. The protagonist, Charlie (Logan Lerman), is a sensitive, creative teen crippled by excruciating anxiety and who aspires to be a writer. He opens the film and spends much of the narratorial exposition writing, first by hand and later by typewriter (and yes, the typewriter unveiling was, for typewriter obsessives such as me, utterly and entirely thrilling). Charlie has a Dead Poets Society-calibre English teacher (played by Ben Affleck) who identifies his writing interest and talent and gently encourages him. 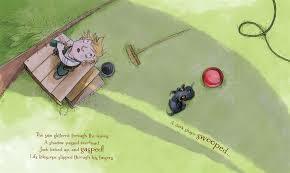 He recommends books for Charlie to read, loaning and even at one stage giving him his original copies. 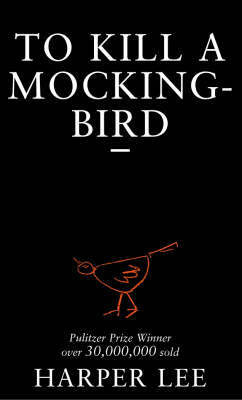 These include To Kill a Mockingbird, The Great Gatsby, The Catcher in the Rye, Walden, and On the Road. Charlie himself later gifts his much-loved book collection to Sam (Emma Watson), the girl with whom he’s hopelessly in love. It’s heartfelt, soul-exposing stuff. Legend has it (and when I say ‘legend’, I mean ‘Wikipedia’) that Stephen Chbosky was trying to write a very different kind of book when the phrase ‘I guess that’s just one of the perks of being a wallflower’ popped, muse-led-like, into his brain. It sent him down a semi-autobiographical writing path to create an epistolary novel (one written as a series of documents such as diary entries and newspaper articles—thanks again for that gem, Wikipedia) for which I think we’re all rather grateful. The Perks of Being a Wallflower’s popularity grew just the way every author hopes it to: via word of mouth. It also attracted the guaranteed-to-make-you-an-elicit-bestseller attention of the Christian movement, which was concerned by the sexual themes and portrayals of drug use. If I ever manage to publish a book of my own, I sincerely hope Family First, the Anti-Vaccination Network, or organisations of their similarly vocal and misguided ilk try to get it banned. There’s a bunch of book-related trivia contained within The Perks of Being a Wallflower, not least that Charles Dickens was the author who created both the paperback book and the serial. And I found myself smiling a lot throughout the film (I found myself crying, too. But that’s not the focus of this blog), and never more so than at its end when Affleck’s English teacher character asks the class who’ll be reading for pleasure over the holidays. That’s a big question to ask a teenager and an even bigger one for them to answer in the company of their peers. It’s one that made me proud as a nerdy writer who was a nerdy, book-loving reader inspired and encouraged by some fantastic English teachers along the way. Here’s hoping The Perks of Being a Wallflower—both the book and the film—continues to inspire a few more future and current writers. *As a side note, I’m loving this analysis of the new ways we’re using ‘slash’—I’ve been doing it for a while, but hadn’t realised I was part of a phenomenon.